With the power of OpenSSL and a Linux distro you can get a lot from the OpenVPN client. But studying all the different configurations can take a lot of time and effort. That’s why learning resources like books are so valuable. 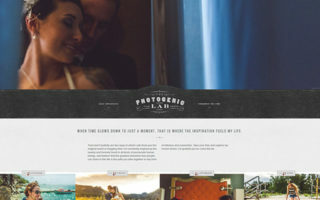 Why spend time shuffling through websites when you can glean tips from tech authors & developers? In this post I’ll share the ten best OpenVPN books you can buy to take you from a complete novice to a superuser. 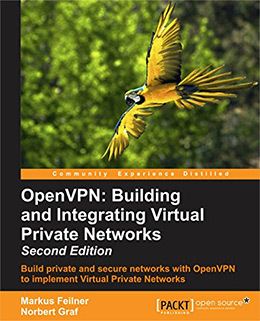 If you’re a complete beginner who wants to learn quickly I’d recommend a copy of OpenVPN: Building and Integrating Virtual Private Networks. The book is currently publishing its second edition and may even release another update in the future. It teaches everything from the basics of installing on all major OS’ to basic troubleshooting and security management. 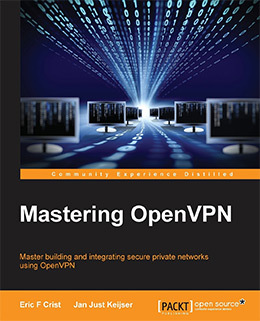 The lessons are practical and by the end of this book you’ll be very comfortable working with OpenVPN. Although this is not a pure OpenVPN book it does contain a lot of vital information to help you understand OpenVPN. 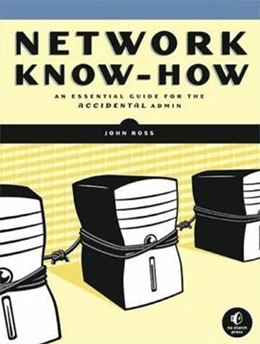 Network Know-How by John Ross is the ultimate guide to server & network administration in plain English. Over 288 pages you’ll learn how to work on top of the latest Windows, OS X, and Linux environments and how to build networks between all of them. These tips include network printing and file sharing between multiple devices running different OS’. But you’ll also learn about the basics of VPNs and how these work connecting from a home network into a work network or other remote server. Networking is at the core of OpenVPN so if you don’t understand networking you’ll struggle to really master the VPN client. And while this book does assume some technical knowledge it also walks you through each project carefully. I’d recommend it to anyone who wants to learn more about computer networking without all the technical mumbo jumbo. Diving in and getting your hands dirty should be a requirement for every technical project. Hands-on OpenVPN takes you through the entire process of installing and configuring a basic OpenVPN setup along with a remote gateway for making a connection. The author covers both Linux and mobile Android machines, both of which run prominently on top of the OpenVPN system. This is a very short book with only 100 pages in total. But you’ll find some incredibly detailed tutorials that walk you through every step of the OpenVPN setup. 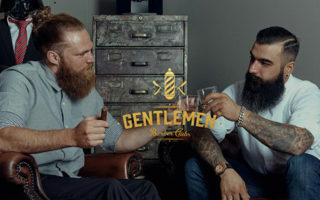 You’ll learn about the OpenVPN signature passed along with network traffic and how this connects to an OpenVPN server. The technicals are much more complicated than a traditional VPN client because there’s so much more going on behind the scenes. It’s best if you already have some familiarity with Linux before getting this book. You should be comfortable enough to work your way around Ubuntu and should be comfortable installing/managing packages on your own. By the end of this book you’ll have a solid grasp on OpenVPN and how it can be used in a day-to-day lifestyle. Every connection through OpenVPN is secured via OpenSSL. This is an open source option for SSL/TLS that runs across many web servers. 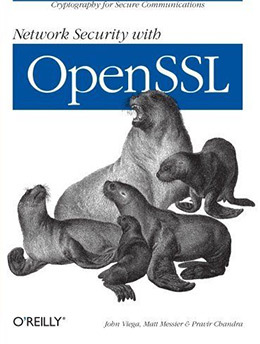 Network Security with OpenSSL has just under 400 pages covering the basic functions of this open source(read: free) SSL library. You’ll learn some basics on setup and how to program over the library with C/C++. But this is not a programming book and it’s not targeted specifically at developers. You’ll learn how to setup OpenSSL and how to avoid common pitfalls that cause security concerns on major networks. Understanding how OpenSSL works is a big step towards running a secure system on top of OpenVPN. I do not think everyone needs to read this book to get started with VPNs. However the OpenSSL library is essential to OpenVPN so it would be useful to understand how it works and how to troubleshoot potential issues. If you’re completely new to OpenVPN then I would highly recommend starting with this book. It’s currently in its second edition with updated chapters for the newest versions of OpenVPN and Linux. OpenVPN: Building and Integrating Virtual Private Networks teaches everything from the very beginning of initial installation to configuration settings and SSL connections. The book offers 400+ pages of step-by-step guides for novices and experts alike. You’ll learn how to install OpenVPN on every single OS including Windows, OSX, Linux, and iOS/Android for mobile devices. This book explains encryption and certificates in detail so you understand the basics of a secure connection. The authors talk about common networking tools like ipconfig and traceroute. They also compare other VPN clients to OpenVPN so you can see how they all stack up against each other. This is definitely one of the best introductory books for newbies and it can even be valuable for intermediate-level Linux users who want to go further with OpenVPN. You really can’t master OpenVPN without understanding the Linux platform that powers most OpenVPN servers. Understanding Linux Network Internals teaches the networking features behind TCP/IP connections and how these work to connect with other computers. Linux networking is complex but it works much like any other major operating system. This book goes into a lot of code samples explaining Linux networking with C programming. If you have no interest in programming then you should avoid this book. It’s a very technical look at the Linux platform and it’s certainly not for everyone. But there is real value here for IT professionals and programmers who want to understand OpenVPN and Linux networking down to the core fundamentals. You’ll learn about IPv4, routing, and ICMP along with other common network protocols. Definitely not a beginner’s book and probably not great for every OpenVPN user. 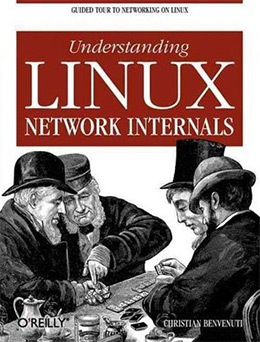 But if you love the technicals and enjoy writing code this book will vastly improve your all-around knowledge of Linux networking. Most open source programs run on Linux because it’s a free platform that supports other free projects. This is why the OpenVPN+OpenSSL combo is so popular with Linux users. 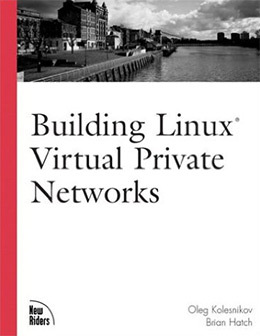 If you want to run Linux VPNs from scratch then you’ll want a copy of Building Linux Virtual Private Networks. The book comes with over 400 pages of guided exercises for installing and configuring different Linux VPN systems. You’ll learn a lot about basic network security and how to handle potential breaches to the system. Naturally this includes troubleshooting and performance problems that you may run into along the way. Not everyone wants to stick to Linux since OpenVPN can run on many different operating systems. But if you’re a proud Linux user and want to call yourself a power user then this book will get you on the right track. Since we’re already talking about open source projects it makes sense to hone in on related security tools like pfSense. This is a free open source firewall and it’s one of the most popular solutions for local networks and enterprise servers. 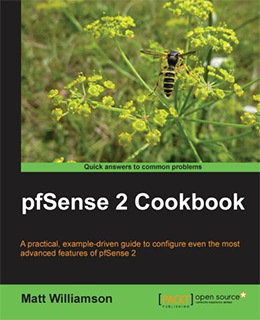 pfSense 2 Cookbook assumes some knowledge of pfSense security but works its way through basic lessons to more complex features. 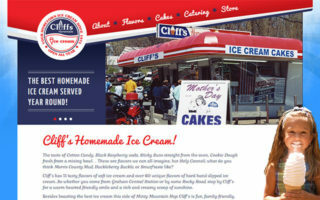 Each chapter includes very detailed step-by-step exercises along with screenshots to guide you along the way. Common features like software deployment, machine imaging, and SSH connections are all covered. 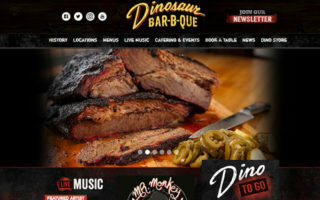 Many recipes also talk about VPN services including OpenVPN running with a pfSense firewall. I recommend this book for network administrators or sysadmins who want to learn more about open source networking tools. This may not relate directly to OpenVPN but it can certainly help you configure & secure an OpenVPN server without major security concerns. Many people are happy with basic OpenVPN remote connections for browsing the Internet or buying items with anonymity. However Mastering OpenVPN goes so much further beyond the basics including security reports, activity logging, and user authentication techniques within the same network. This book is the de facto premiere resource for becoming an OpenVPN power user. You’ll learn tons of configuration methods for both desktops and smartphones running OpenVPN. You’ll also learn how to customize certificates and how to troubleshoot common problems as they arise. 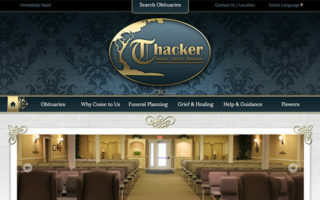 Larger systems require more maintenance and often need more attention. This book takes an existing user and pushes them much further into the OpenVPN environment. I’d recommend this mostly for devops, sysadmins, and other network-oriented jobs that rely on OpenVPN. The exercises focus on commercial projects, but this can be incredibly useful for practicing at home and building up your knowledge for a future career in networking. Currently in its second edition the OpenVPN Cookbook is a tome of workflows and solutions to common problems. 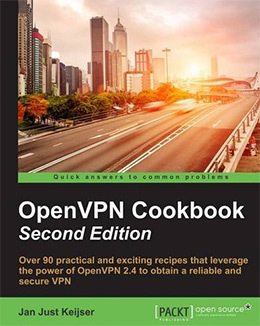 The book totals 460+ pages full of OpenVPN recipes for building secure networks and connections over IPv4 and IPv6. Many companies offer VPNs for home use to connect into a network server. This cookbook offers handy workflows for remoting into commercial servers with tips on authentication and security practices. But you’ll also learn about the server side of OpenVPN which includes a Linux base and more technical IT terms for beginners. You’ll learn about authentication extensions for PAM and LDAP along with different network styles(Tun/Tap) and how they should be used. This cookbook doesn’t have too much code but it does offer lots of advanced tips & tricks. If you’re looking to become a power user with OpenVPN I would highly recommend picking up a copy of this book. If you’re constantly using a VPN then you’ll enjoy the open source alternatives. OpenVPN is a popular free option because it runs on top of many other popular open source projects. Complete beginners with little experience should check out OpenVPN: Building and Integrating Virtual Private Networks by Markus Feilner. It can teach you everything you need to get up & running with OpenVPN in any environment. More advanced users will enjoy Mastering OpenVPN and the OpenVPN Cookbook, both of which can take your skills up to poweruser status. But no matter what you’re trying to learn I guarantee there’s a book here that can help improve your skills.